Legal completion of an auction funded purchase is normally within 28 days of the day of the auction. 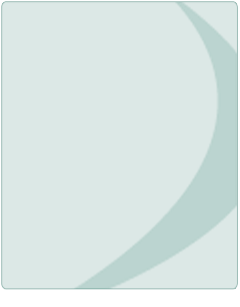 Sterling Capital lends up to 100% purchase price or 70% of independent valuation. Unlike almost all other established auction finance lenders Sterling Capital offers to lend will be based upon a percentage of an independent valuation of a property and not a percentage of the purchase price or catalogue guide price. Importantly where you have identified and can acquire a property at less than its true value you will need to put in less equity. 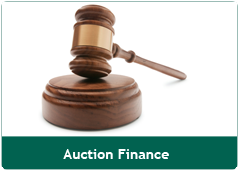 This means that the auction finance valuation needs to take place as soon as possible before the auction so that you have a clear idea of how much auction funding you may need to raise and thus how far you can bid. As most high street lenders are often unable to arrange an almost immediate valuation and formal offer and this process can often take 8 to 12 weeks. Property auctions offer a wide variety of residential properties and semi commercial opportunities to developers who are looking to buy a distressed investment property to renovate for onward sale or development. Property auctions are also regularly used by bank lenders to dispose of properties they have repossessed and developers, investors and owner occupiers who need to achieve a quick sale. Property Auctions are attractive to these vendors because they offer a sale on a specific date and both the purchaser and vendor cannot with draw once the hammer has fallen as the sale is contractually binding on both parties. Many of the larger London based property auctioneers offer properties for sale throughout the country and the regional property auctioneers generally offer properties within a certain radius of their offices. In addition, rural or more unusual properties are often subject to one off or specialist auctions which will be conducted through a local Estate Agent. You will have to move fast as Property Auctions usually take place only three or four weeks after the property auction catalogue is first issued. Thereafter, if you are successful at the property auction you will usually have 28 days to complete the purchase, although on occasions, completion may be required within as little as 14 days. With our support we can assist in successful funding within the completion period. You should decide what type of property you are looking for, be it for your own occupation, an investment property or one for development. Once you have located the Property Auctioneers who may offer properties of interest to you, you should register with these Auctioneers and they will send you a catalogue for their forthcoming property auction. The first step is to mark those Lots that might be of interest to you and to make sure that you understand how the property is to be offered. Some Lots will be offered with vacant possession whilst some may be tenanted or partly tenanted and they may not be suitable should you be purchasing a property for your own occupation. Unfortunately, situations can arise where people have successfully bid at a property auction thinking they have bought at a deep discount not understanding that the property was occupied by a regulated tenant and, as such, has the right to occupy it for the rest of their life. It is crucial to ask your solicitor to review the auction pack for any lot that you are seriously considering bidding on so that your attention may be drawn to any title issues which may affect the value of future marketability of the property.